A trusted name in computing and a firm gaming favourite, Logitech has an extensive selection of mice styles to suit every PC and Mac user. Whether you’re looking for ergonomic comfort for the office or ultra-responsive tech for gaming, you’ll find the perfect Logitech mouse for you. Both wired and wireless Logitech mice give you the freedom of movement you need. Choose from laser or optical mice for enhanced precision and responsiveness on every surface. 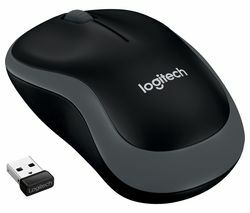 Logitech mice come in a range of sizes and finishes for varied grip, and even include mini mice that are perfect for packing into your laptop case for computing on the go. Our bundled Logitech mouse and keyboard sets help you save, too. As well as comfort and performance for everyday computing, Logitech also offer a specialist range of mice designed specifically for the rapid clicks and movements of gaming. 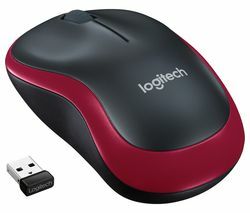 Our Logitech gaming mice are lighter and lower latency. They use ultra-responsive sensors that keep up with the slightest of hand gestures, and support higher CPI settings. They also come with software that allows for better customisation, so you can set custom macros and LED lighting, too. Enhance your computer entertainment experience with our full range of computer mice.